A new report from PwC reveals that Glasgow is now the hot spot for new hotel growth in the UK as Scotland enjoys a boom in business, event and sports tourism to add to the already healthy growth in leisure visitors. Hotels are springing up across the country, from the Radisson Red in Glasgow to the Edinburgh Grand in the capital. The trend shows no sign of easing, with all Scotland’s big cities seeing expansion: in Dundee because of the V&A, and even Aberdeen which is seeing a recovery in the oil sector. Glasgow and Aberdeen experienced a substantial boost in bookings, each growing around 10% year on year. More hotels also increases the pressures to remain competitive and to that end, Expedia, the world’s largest online travel company, has been building awareness of its technology tools designed to help maximise hotels’ revenue, particularly during the off-peak season. It can provide a range of data from price comparison, to checking the comfort of visitors, all aimed at making hotels better at what they do, and able to fill more rooms. 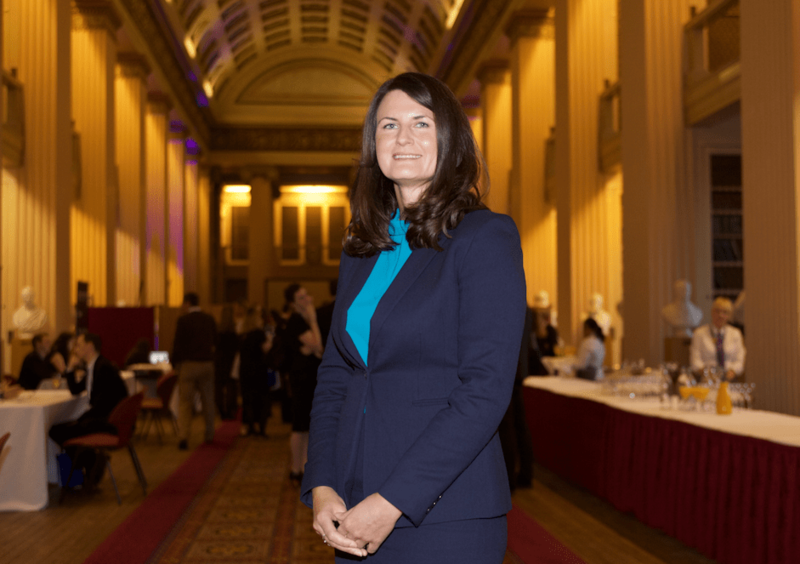 A team of local on-the-ground market experts and company specialists hosted an event for the industry at the Playfair Library in Edinburgh. Irene Roberts, director, market management, UK & Ireland, was joined by a panel comprising Paul Wakefield of Marketing Edinburgh, Linda Mcallister, VisitScotland’s senior quality and business advice manager and Ronald Little, member of Edinburgh Hotel Association & General Manager for the DoubleTree Hilton City Centre. The ‘partner summit’, attended by 130 industry professionals follows the forming of a collaborative alliance by Expedia Group and VisitScotland to drive travel demand through supporting Scotland’s hoteliers with data driven insights and guidance on best practice. Ms Roberts is responsible for leading the Expedia team which is developing relationships with hotel partners in the UK & Ireland. With almost 20 years’ experience working in the tourism and travel industry, she began her Expedia career in 2007 as a market manager for Scotland before working her way to UK director. For her, the focus is currently on technology and collaboration to achieve greater returns for hoteliers and, by the same process, a more enjoyable experience for customers. The suite of tools includes a revenue management programme called Rev+ which effectively puts the hotelier in control of analysing and comparing their offering with rivals. There is real time feedback, whereby Expedia collates customer comments and feeds the information to the hotels so they can respond while the visitor is still a guest. “If a visitor arrived wanting more towels and couldn’t find them they might have gone home and written something quite negative on one of these review sites,” she says. It is all part of raising the standard of service and sending out a feelgood factor about the destination. “We are working with hotels as partners, using technology to improve the overall service,” says Ms Roberts. Collaboration is now a vital part of further enhancing the visitor’s experience, she says, hence the greater involvement of marketing and tourism organisations. She says the modern traveller now demands, not only a higher quality of product and service, but information that is immediate and easy to access. Expedia is a massive company receiving 675 million site visits every month. It claims to be the one true one-stop shop and to maintain its position it is investing $1.5 billion in technology. So what comes next? Ms Roberts mentions AI, machine learning and chatbots. “I don’t pretend to know a lot about AI, but change is happening.